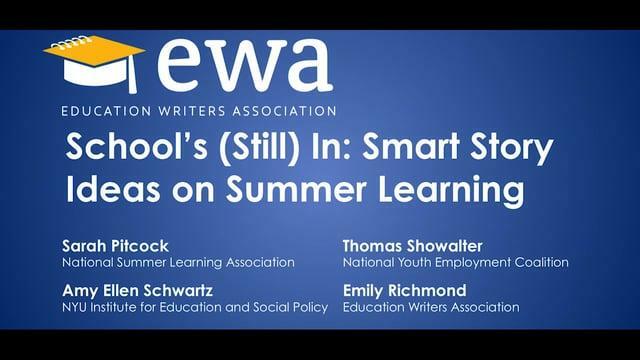 In this EWA Webinar, we’ll look at some innovative approaches to combating these challenges, including an often-overlooked student demographic group: high schoolers left to their own devices during the vacation break. Plus, we’ll dig into some recent research on the long-term impact on teens’ academic performance when they work summer jobs. We’ll also offer fresh takes on summer learning stories, including new public-private collaborations at the school, district, and state levels to connect more kids to high-quality enrichment opportunities.